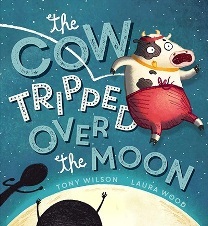 Over the last few months I’ve released one new title, and reprinted an old favourite. 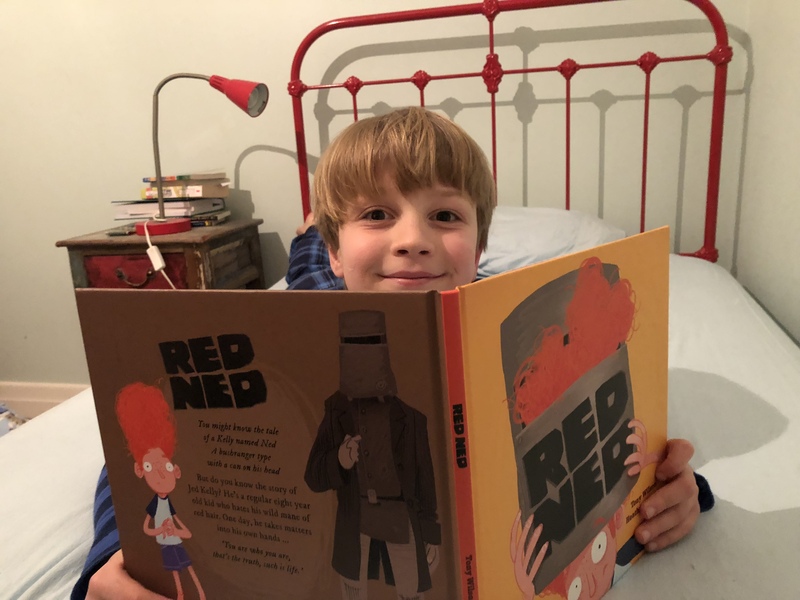 Red Ned is illustrated by Heath McKenzie (Don’t Open This Book) and published by Lake Press. It asks the important question, what if you had bright red har, hated it, burnt it off by misapplyiing bleach, panicked, sought out a barber while wearing a bin on your head, and were mistaken for Ned Kelly. A book about accepting who we are, and not wanting to be someone else. You can buy it here. That’s my son Harry holding Red Ned. 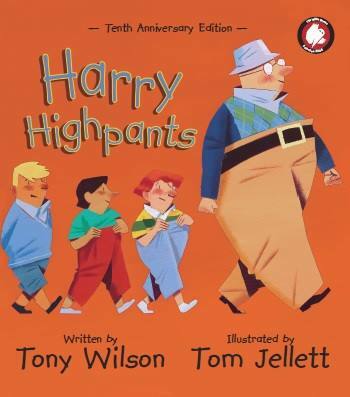 On the subject of Harry’s, the title Harry Highpants is the one I get the most requests for over the years. 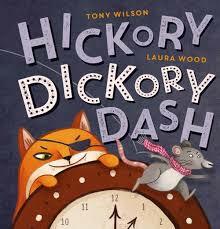 For a while now, it’s been unavailable from its original publisher, Scholastic. Fior it’s 10th birthday, I decided to reprint it myself. It’s a story about freedom, protest, democracy, self expression, diversity, revolution, and PANTS! If you’d like to freshen up your library copy, or meet Harry Highpants for the first time, send me an email via the contact tab on this website. 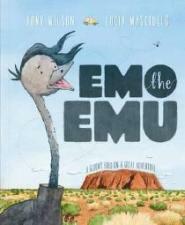 It’s $15 plus $7 postage for a signed copy within Australia. We can exchange address and account details, and you can be part of the movement for pants freedom.